Non-refundable reservations and special offers (e.g. Early Bird Special) need to be prepaid fully and are non-refundable. The special offers are for individual travellers only, not for groups, and are available for a limited period of time only. Once you have checked in and made payment for your reservation, this becomes non-refundable. Under special circumstances, management may allow partial refund or change of reservation depending on availability. Eviction - Should you be evicted and/or trespassed from the INNBetween Lodge & Backpackers for behaviour deemed necessary by management, you forfeit any payment made for accommodation. Up to 28 days before arrival you can cancel free of charge. You can also cancel up to 14 days before arrival, but we will charge you 50% of the reservation. If you do not cancel before these times, or in case of a No Show, the reservation is non refundable. Please note: Cancellation policies may differ through OTA's and still apply. All reservations require a valid credit/debit card for Booking. First night accommodation rate will be charged upon booking and held as deposit. You will be requested to present your valid credit card and ID on check-in at the Hostel for verification. All bookings are required to be paid for in advance. Should you wish to extend your stay, you will be required to extend your stay at the reservations counter and pay for the extension of stay in advance unless agreed for prior by management. Payment at Hostel with credit card attracts a 5% surcharge. Children are still included in the maximum occupancy of a room. Check in time is 2.00pm. Guests arriving prior to this time may on occasion be provided with rooms when they arrive, but only by pre-arrangement. Guaranteed access to rooms prior to 2.00pm can only be provided if the reservation includes the prior night. Check out time is 10.00am. Later check out, may on occasion be possible, but only by pre-arrangement with our reception - late check-out fee may apply. All guests under the age of 18 must be accompanied by a responsible adult such as a parent, step-parent, guardian or other adult who has parental rights and responsibilities for the under 18 year old guest. No children under the age of 14 can be left alone or unattended on our property under New Zealand Law. Parental guardians will be responsible for administrating this. If a guest is found to be a person under the age of 18 who is not accompanied by a responsible adult, INNBetween Lodge & Backpackers may immediately cancel the guest’s booking and the full booking amount will be forfeited to INNBetween Lodge & Backpackers under this clause. INNBetween Lodge & Backpackers sometimes includes third party products or services in special packages and INNBetween Lodge & Backpackers is not liable under any circumstances for any failure by third party providers to provide products or services, nor for any error, alteration or change of any kind made by those third party providers following acceptance of a booking by them. INNBetween Lodge & Backpackers is not liable for any act, omission, default or negligence of any third party provider. To the extent permitted by the law, you agree to release and hold harmless, INNBetween Lodge & Backpackers and its current and former officers, employees and agents against and from all expenses, costs, liabilities, claims, actions, proceedings, damages, judgments and losses of any kind whatsoever (including consequential and economic losses, property loss/damage and damages for injury, including personal injury and death) arising out of, caused by, attributable to or resulting from your booking or your stay at the relevant Participating Property even if caused or contributed to by INNBetween Lodge & Backpackers negligence, breach of duty or otherwise.You agree to indemnify INNBetween Lodge & Backpackers and its current and former officers, employees and agents for all expenses, costs, liabilities, claims, actions, proceedings, damages, judgments and losses of any kind whatsoever (including consequential and economic losses, property loss/damage and damages for injury, including personal injury and death) incurred or suffered by INNBetween Lodge & Backpackers or its current or formers officers, employees or agents arising out of, caused by, attributable to or resulting from your booking or stay at the relevant Participating Property except to the extent caused or contributed to by INNBetween Lodge & Backpackers or its current or former officer’s, employee’s or agent’s negligence. INNBetween Lodge & Backpackers is not responsible for any loss arising out of any occurrences or conditions beyond its control, including but not limited to acts of terrorism, act of God, defects in vehicles, war, strikes, theft, delay, cancellation, civil disorder, disaster, Government regulations or changes in itinerary or schedule.All travel documents, observance of laws and government regulations are your responsibility. You consent and authorise INNBetween Lodge & Backpackers and the relevant Participating Property to collect, use and disclose your personal information for the purposes of administering you’re booking and providing you with any services associated with your booking.You consent to information which you have provided to INNBetween Lodge & Backpackers or the relevant Participating Property as part of your booking being used by INNBetween Lodge & Backpackers, the relevant Participating Property or any of their related bodies corporate for the purpose of informing you about offers and promotions which relate INNBetween Lodge & Backpackers, INNBetween Lodge & Backpackers related bodies corporate or Participating Properties. INNBetween Lodge & Backpackers will not provide or disclose any information you have provided to INNBetween Lodge & Backpackers or the relevant Participating Property to any person other than a related body corporate without your prior written consent. Upon request by you and to the extent permitted or required by law, INNBetween Lodge & Backpackers will provide you with access to and/or the ability to correct your personal information however only the person who made the booking will be entitled to access and/or correct personal information pertaining to that booking. Please note that by providing your email address you are subscribing to our Monthly Specials Newsletter. If you wish to opt out, please contact the Hostel directly or email our Marketing Department. The Terms and Conditions are governed by and will be construed in accordance with the laws of New Zealand.If part or all of any clause of these Terms and Conditions is illegal, invalid or unenforceable then it will be read down to the extent necessary to ensure that it is not illegal, invalid or unenforceable, but if that is not possible, it will be severed from these Terms and Conditions and the remaining provisions of these Terms and Conditions will continue to have full force and effect. 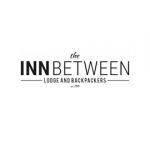 The INNBetween Lodge & Backpackers is a boutique and homely hostel. 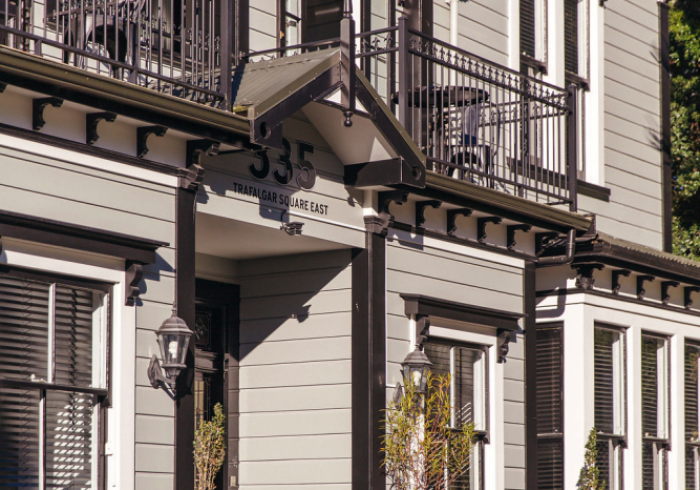 Centrally located in the heart of Nelson, we pride ourselves on providing a high level of comfort with personal service. Renovated and modern, with a relaxed atmosphere, we aim to provide a new level of comfort in a hostel. We’re an owner-run hostel, which provides an environment of personal service from staff who have travelled the world and can understand the tricky situations we all encounter when travelling. With a quality of furnishings not always seen in hostels, we aim to give a lot more at little cost. Our doors are open to people from all around the world and of all ages. In the afternoon you can enjoy a drink in the sun on our fantastic balconies and in the evening you can enjoy some peace and quiet as there are no loud late-night venues directly by us. You can be assured of a good night’s sleep! We are a small/medium hostel with a maximum capacity of around 75 people, which we believe is a perfect number for keeping our homely feel while enjoying a fun and vibrant atmosphere.